 Addmotor is a formerly consumer-direct electric bike manufacturer now exclusively sold at premier electric bike retailer "Bike Attack Electric" in Santa Monica. Addmotor is now selling their affordable and low priced electric bikes to consumers through the channel of a professional electric bike shop to ensure the bikes are properly assembled, fine tuned and warrantied. Bike Attack makes sure the bikes have the best performance, like the popular MOTAN M70, a replica of the Super 73, a 70's inspired electric bike with the looks of a motorcycle.